Docosahexaenoic acid (DHA, 22:6n-3) is an essential omega-3 polyunsaturated fatty acid (PUFA) that is required for proper brain development and cerebral functions. While DHA deficiency in the brain was shown to be linked to the emergence of cerebral diseases, a dietary intake of omega-3 PUFA could prevent or attenuate neurologic disturbances linked with aging or neurodegenerative diseases. In this context, targeting the brain with DHA might offer great promise in developing new therapeutics for neurodegenerative diseases. We previously synthesized a stabilized form of DHA-containing lysophosphatidylcholine a major vector of DHA transportation to the brain, which is 1-acetyl,2-docoshexaenoyl-glycerophosphocholine, named AceDoPC®. Injection of AceDoPC® or DHA after experimental ischemic stroke showed that both molecules had neuroprotective effects but AceDoPC® was the most potent. 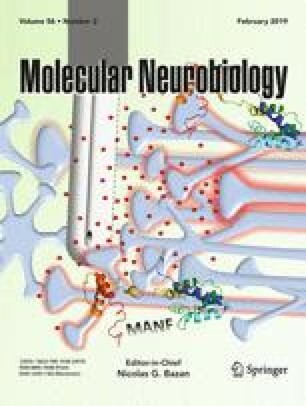 This study aims to investigate the beneficial effects of DHA either unesterified or esterified within AceDoPC® on a model of neurogenesis in vitro, under physiological or pathological conditions. The effect of protectin DX (PDX, a double lipoxygenase product of DHA) was also tested. We cultured neural stem progenitor cells (NSPCs) derived from the adult mouse brain under normal or hypoxigenic (ischemic) conditions in vitro. Neurogenesis study of cell cultures with AceDoPC® showed enhanced neurogenesis compared to addition of unesterified DHA, PDX, or vehicle control, especially under pathological conditions. Our studies of the potential mechanisms involved in neuroprotection hinted that AceDoPC® neuroprotective and regenerative effects might be due in part to its anti-oxidative effects. These results indicate the potential for novel therapeutics against stroke that target the brain. The online version of this article ( https://doi.org/10.1007/s12035-018-1139-0) contains supplementary material, which is available to authorized users. This work was supported by the Japan Society for the Promotion of Science and Core-to-Core Program, LISA Carnot institute, National Institute of Applied Sciences-Lyon and the French Ministry of Education and Research. We thank the Functional Lipidomics Platform for lipid analyses.